The soulful, talented and astute folks at Peng have been busy cooking up some real musical gems for their offerings of late. 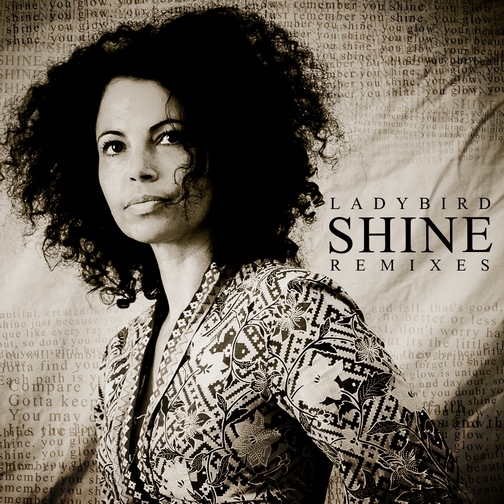 This time out it’s label songstress, Ladybird, who comes to the fore with Shine, an inspirationally lyrical and soulful song focused on inner beauty. The ‘Original Mix’, in typical Peng fashion is acoustically rich. The excellent instrumentals play both equal and second fiddle to Ladybird’s vocal talents, complimenting her soulfully pleasing vocals with the platform it deserves. Andy Compton does what he knows best on the ‘Rural Soul Mix’. Taking the edge off the original mix slightly, Compton pulls you in with his sultry bass guitar chords and percussive garnishing. Think Sunday afternoons under the sun with your loved ones, then this is the perfect soundtrack to that beautiful moment you crave. The ‘Haldo Deep Mix’ opens up with a strong focus on Ladybird’s vocals lifting you slowly before using the drums to build up the tempo, backed by a strong arsenal of synths and bass. The result is a fresh, vibrant twist on the song that is as alluring as it is soothing. Pete Dow and Mongini, take you to the floor on their ‘Rain Vocal Mix’, that feels to me like an apt fit for those sundowner sets. The more rounded sunding drum beat has enough kick to get your feet and hips moving, while keeping it deep enough for you to chill out to during a soulful set. Editor’s Sidenote: Shine is a well-rounded, musically astute package for lovers of both the deep and soulful House. Kudos to all at the Peng family are in order.